Trying to catch up on Game of Thrones episodes before Sunday night's final season premier? About 20 percent of millennials in their late twenties and thirties are uninsured. This means many young may have to pay hefty health bills, which can lead to medical debt. How can they overcome their financial hardships? ORLANDO, Fla. (Ivanhoe Newswire) -- About 20 percent of millennials in their late twenties and thirties are uninsured. 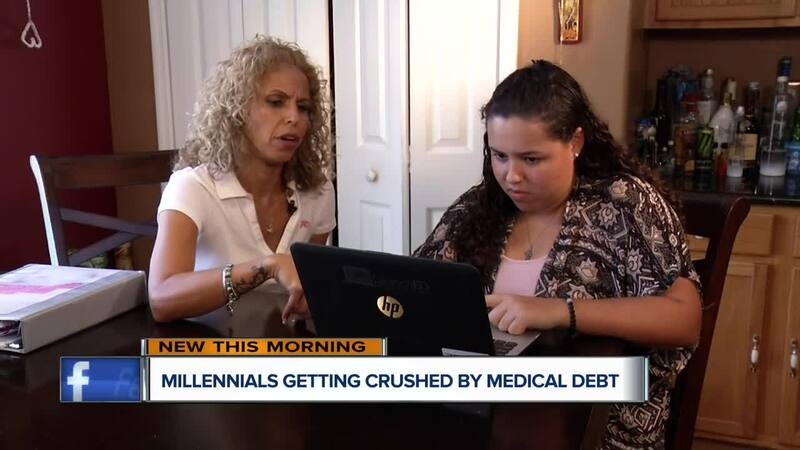 This means many young may have to pay hefty health bills, which can lead to medical debt. How can they overcome their financial hardships? Medical debt is the most common burden in collections in the United States. And young people have the most medical debt, even though they spend the least on healthcare. If you’re facing medical debt, don’t just sit back and watch it accumulate. First, call your provider and see if you can negotiate the bill to a lower price. Make sure you have details about your income on hand. Also, ask about a payment plan. Many providers will break up your bill, so you can pay it off over several months. If they won’t do this, you might want to transfer your debt to a zero percent APR credit card if you can qualify. And consider hiring a medical bill advocate who can help you negotiate a lump sum settlement with the creditor. With ways to help millennials pay off their medical bills. Although some medical bills are daunting, many are modest in size. In fact a recent study found more than half of past-due health care bills amount to less than $600 each.